The ferry rocking back and forth gradually caused my eyes to shut on Colin Thubron’s Shadows of the Silk Road, and I drifted off thinking of ancient Tajikistan and Afghanistan. Next thing I knew, I awoke after days of sleep and was in England. At least I could have sworn I was in England. Neatly hedged bushes, gardens, clean roads with street names like “Broughton Street” and a uniquely Cockney swagger had me doing double takes. After a 35 minute ferry ride across the Juan De Fuca Straight from the Olympic Peninsula town of Port Angeles, and Washington was to the rear with its snowcapped coastal range in the distance. 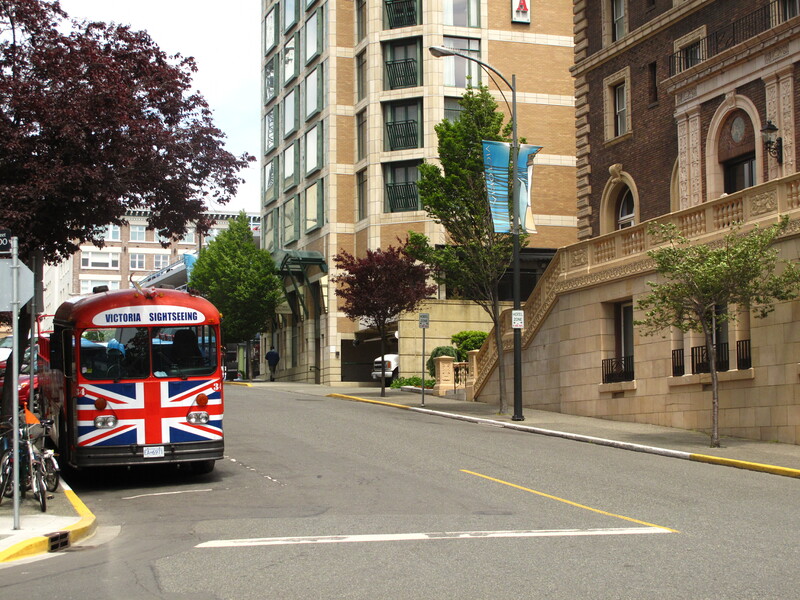 I had arrived in Victoria, British Columbia. Wandering off the ferry, I walked by the miniature Buckingham-esque legislative building and managed to wind up at the Royal British Columbia museum which captured the essence of the Commonwealth province in a huge tribute to Queen Elizabeth the II for the 60th Jubilee (celebration of her 60 years as Queen) as well as Haida carvings among other exhibits depicting the First Nations or indigenous cultures and the natural aspects of British Columbia. Sitting on a bench outside of The Empress Hotel, an ornate palace seemingly boasting the exploits of the sun-never-setting British Empire, I poured a cup of maté and looked out towards the harbor (or harbour). With more than 300,000 inhabitants, Victoria is the biggest city on Vancouver Island and offers the finest of shopping for the bourgeoisie–gems and precious metals glitter in shop windows, and a few Jaguars pulled up as I crossed the street. It seemed exorbitant at times, after a few days in the rugged and simple Washington port city, Port Angeles. As the provincial capital of British Columbia, it should be no surprise that Victoria is so spick and span. But there is more here than such sophistication. Coffee culture, art, the Stewart College of Languages among numerous plebeian British style pubs, most with live music, make for an energetically populated southern tip to Vancouver Island’s wild hemlock forests and often sparsely populated coastline. As a city, Victoria is more than a testament to Canada’s Commonwealth status, it shows a side of the country that is uniquely Canadian in the form of BC.